This is my first SUGAR BOX Eyeshadow Palette (US$7.99)from ebay, and I’ll admit I was a bit skeptic at first. But there was a week when I found myself always reaching out for this palette when I’m doing my makeup. I got this for the holiday and I’m totally in love with this palette. Let’s jump right in, shall we! Packed with nice versatile shade selection. Let me elaborate more of this product. Eyeshadow placement from left to right: the first six shadows are shimmery while the last four are matte finish. I was so excited! I did the color swatch upon opening the package. Here’s the color swatch on bare arm (meaning with eye primer or base). Guys, what you see is what you get. These shadows stay true to its colors. As far as the packaging goes, the size of the palette is small and sleek enough for travel and has a good size mirror with a decent duo eyeshadow brush which you could actually use if you want to. The pigmentation on these eyeshadows are quite impressive for the price. They’re not the best but it does give you a good color payoff with a good primer or base on. I also noticed that they’re long wearing and doesn’t budge. The matte formula are unbelievably buttery and smooth. 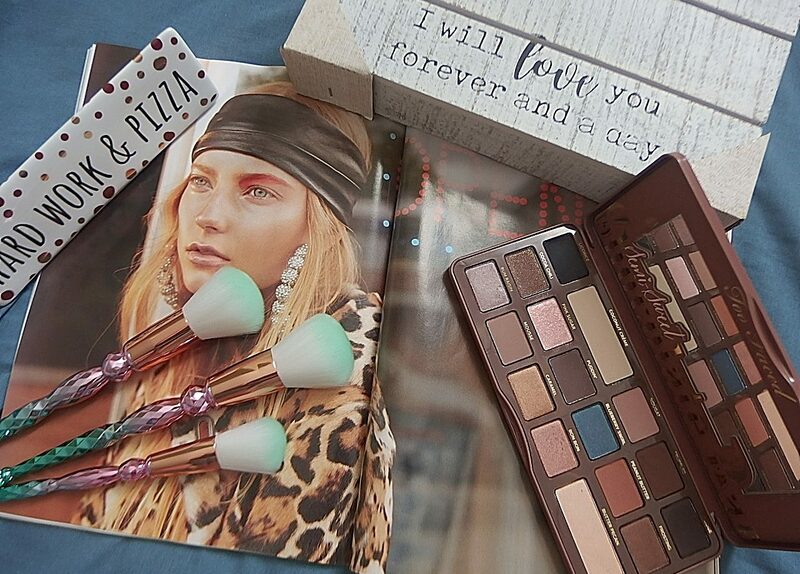 For the price, I consider this eyeshadow palette to be a pretty good buy. It has what you need and it does the job right. I will repurchase this again. I’m in love with the smooth texture and the neutral shades are just amazing. What do you think of this palette? Have you heard of this brand before. Leave your comments below. Thank you very much for stopping by and read. The range of shades is very pretty, sort of a brightened rose gold & neutral selection. That is a wonderful looking palette. For 7.99 it is worth checking out. Agreed! It’s a steal lol! What a steal! And something about the colour selection of this palette really speaks to me. I’ve never heard of this brand before! Do you know if they’re sold in stores, or just online? The oolor selection looks nice, especially for the price. I like the idea of having a wide variety of neutrals. I like that there’s a mix of cool and warm tones. I did a research and it was available only online. You can find them at Amazon or ebay. I agree with the pretty color selection which is really versatile. Never heard of this brand but glad this was a great beauty find for you from Ebay! It was new brand to me too. Sure glad to have it. Reblogged this on Sharon Beauty Prime. I’m about to purchase this eyeshadow.. Does the packaging have a clear description about the ingredients and the producer company?